Valentino Rossi says he should have the capacity to ride in the dry on Saturday to be totally certain of having the capacity to partake in Sunday's Aragon MotoGP race. 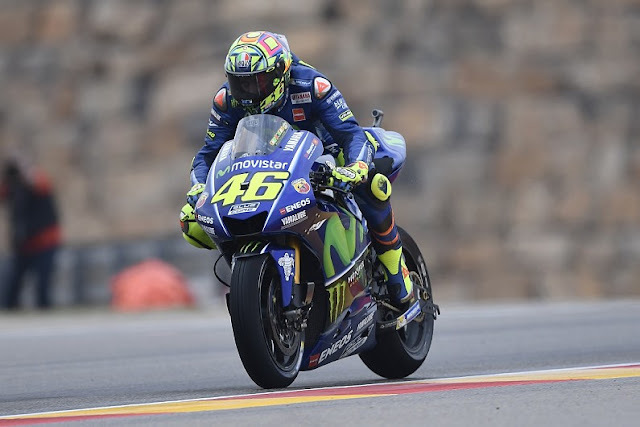 Rossi rode a MotoGP Bike interestingly since breaking his correct leg 22 days prior in a motocross crash in Friday's free practice sessions, both of which were held in sodden conditions. He finished the day down in twentieth place, 2.059 seconds slower than pacesetter Dani Pedrosa. 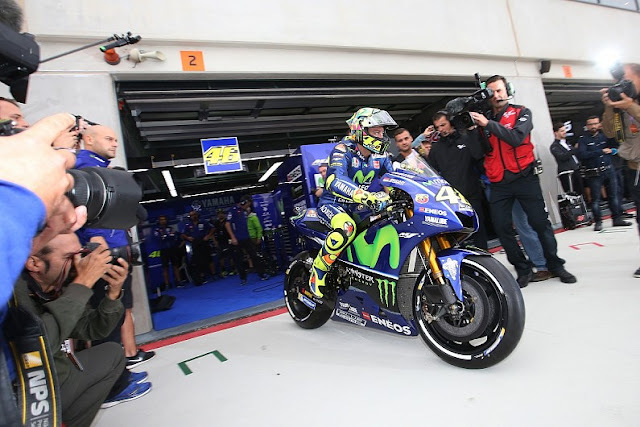 Rossi said he didn't "feel a lot of pain" in his leg amid training, and that there had been no swelling, however, conceded that the wet track had made his life a considerable measure simpler. Inquired as to whether he could make sure of hustling on Sunday, he conceded he expected to test himself in dry conditions previously being completely sure. "With the conditions of today, if it's wet, I don't have particular problems," Rossi said. "For sure the dry is a lot more demanding. "I have to ride a bit more, in the dry it's more effort on the arms, the shoulders because in braking I don't have the power of the leg to brake the bike. "The other thing is in the dry you have to move on the bike more from one side to the other, and also when you are at full lean you are more outside the bike. "This I don't understand with the R1 road bike that he tested at Misano earlier in the week, because the R1 is more normal, like the M1 on the wet. But the M1 in the dry you have to stay more outside. "So with these conditions, no problem, but for the dry we need to wait tomorrow, hoping for good conditions." 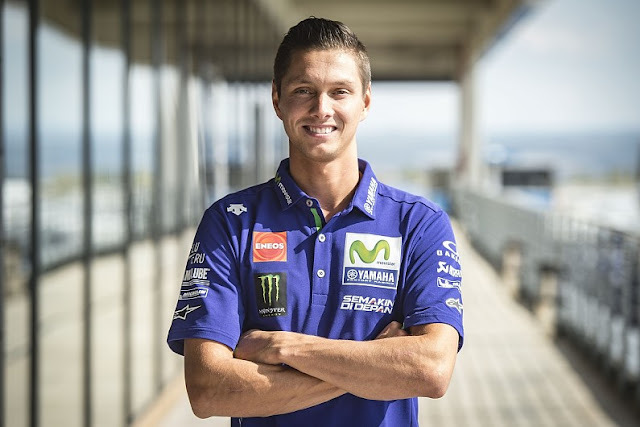 Yamaha had put World Superbike rider Michael van der Mark on standby for the Aragon end of the week in the event that Rossi was not able to ride. Be that as it may, however, van der Mark watches prone to pass up a major opportunity for what had been set to be his MotoGP make a big appearance, he is set for a test on the Yamaha M1 sooner or later. "Looks like he Rossi is fit, he's looking good, he has no pain, so this is really positive for him," van der Mark told this when asked whether he expected to ride on Saturday. 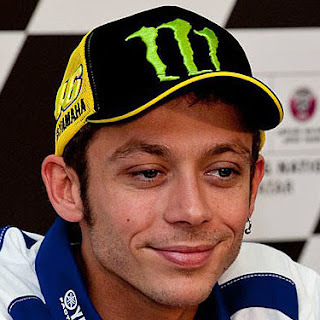 "I spoke with Yamaha, and I will be testing a bike soon, so even though I'm not riding, I will get a nice test. "They just want to give me this opportunity, they just want to let me ride a GP bike, which is quite good."